At YogaFamily, all of our yoga is non-hot and accessible, making classes generally gentle and prenatal-friendly. We also welcome new babies to any adult class with their parent or caregiver. Often the baby stays in their carrier, but if you are attending with a new little one, you are welcome to take them out as well, and care for and breastfeed them as needed. We have a diaper changing table in our dressing room for your convenience. 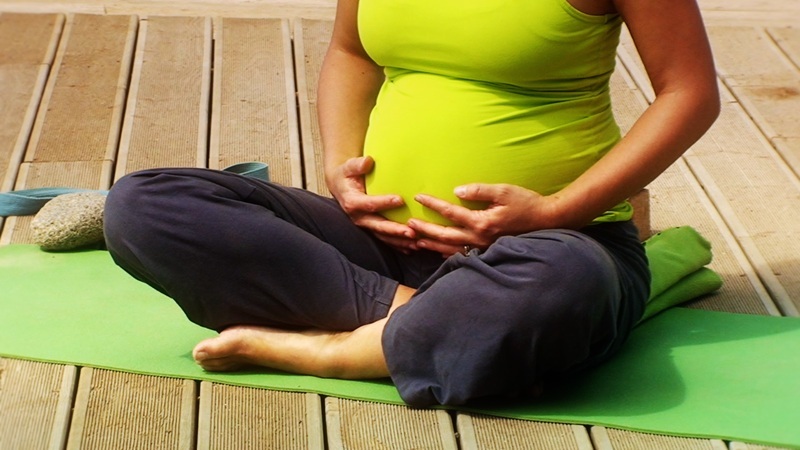 We also have specific classes for prenatal yoga and baby and me/postnatal yoga. Bio: Saralyn has her 200-hour adult yoga teacher training through Sattva Yoga, young people yoga teacher training through Next Generation Yoga, and is currently completing an 85-hour prenatal yoga certification through Mamata Yoga. Growing up in Michigan, she worked in her parent’s birth center, the first free-standing birth center in Michigan, and is excited to be able to work with mothers, bringing them peace and calm during this amazing time of life.